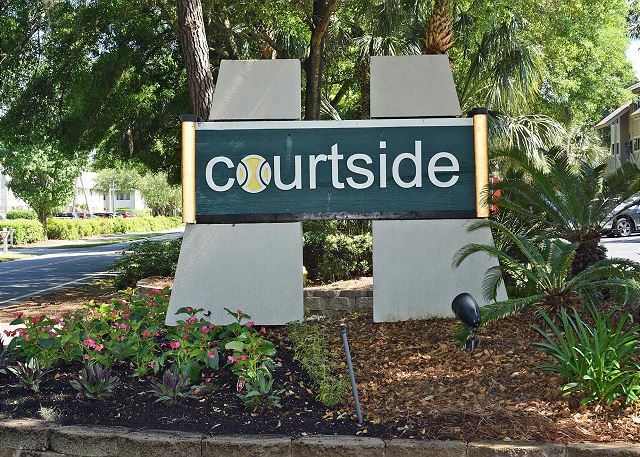 Courtside is an ocean-oriented complex with beautiful manicured landscaping. 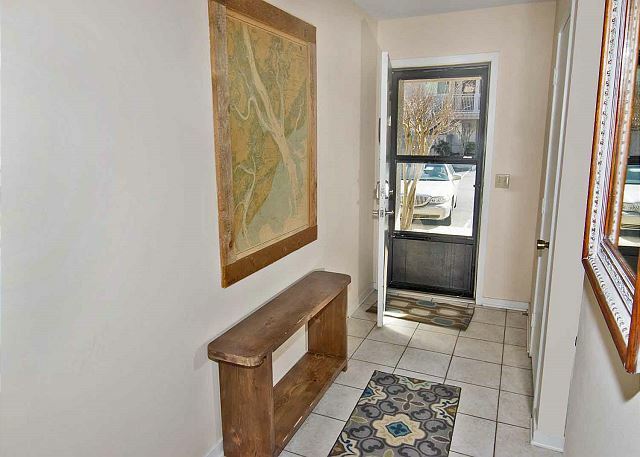 Courtside 34 is a ground floor apartment with no steps to navigate. 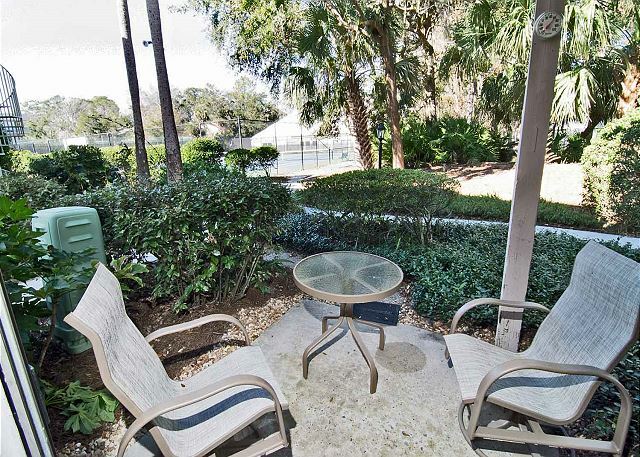 Courtside is 1.5 blocks from the beach and next door to Van Der Meer Tennis Center. 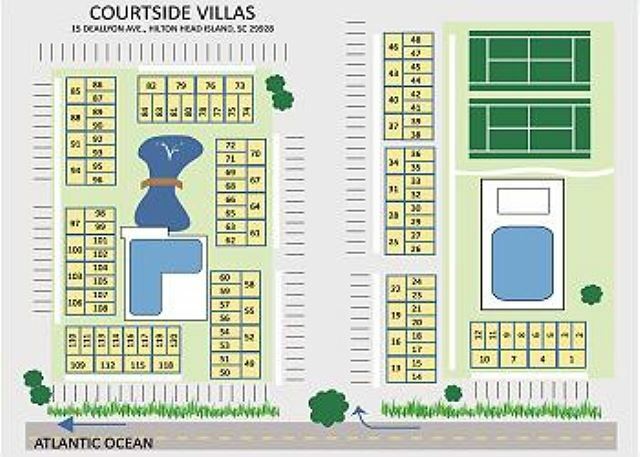 A special membership with Van der Meer provides Courtside guests with tennis privileges up to one hour per day per condo. 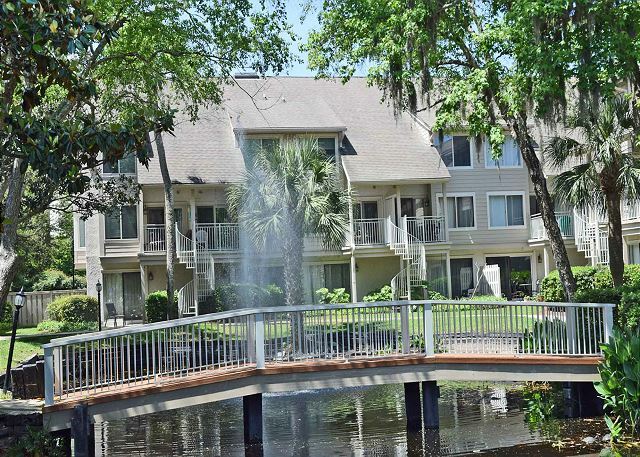 This community has two on-site pools, a lagoon with fountain, and parking at the front door of each property. 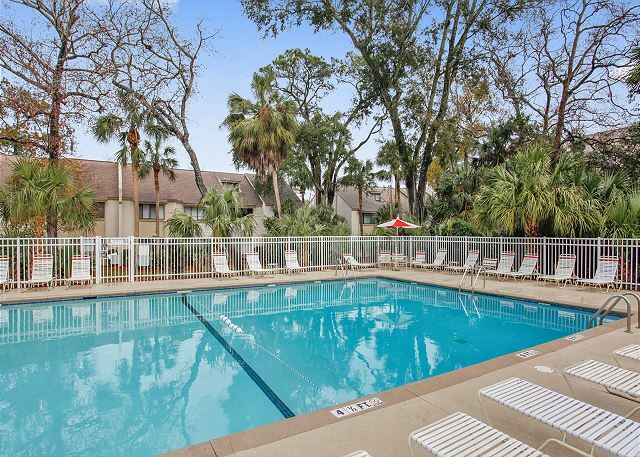 Courtside is within 3 blocks of Coligny Plaza, the Beach Market and Park. 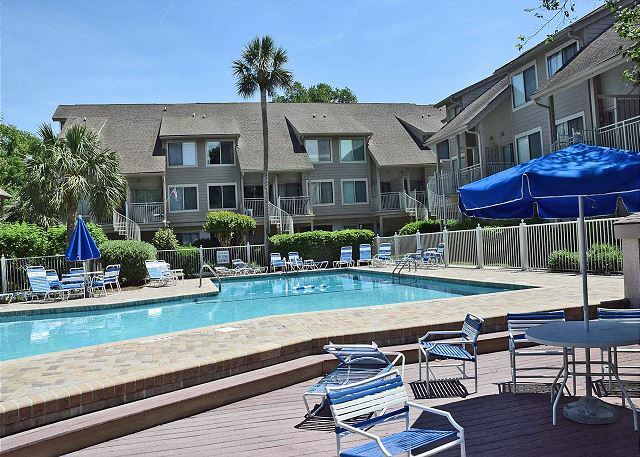 This quaint downtown area offers guests a wide selection of restaurants, shopping venues, and entertainment for all ages. Courtside 34 has all of the comforts of home. 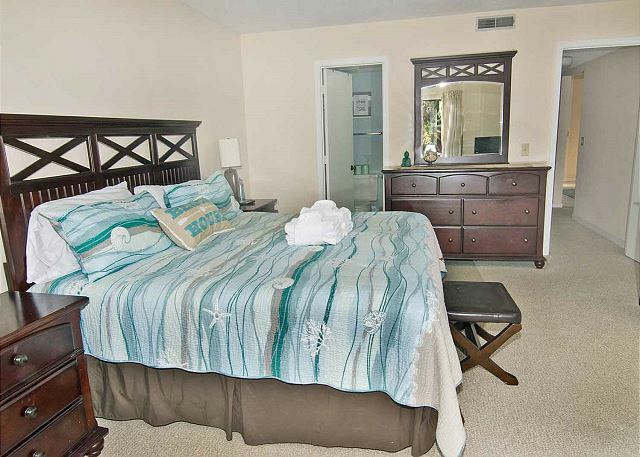 Master bedroom has a king bed, guest bedroom has a queen and a twin bed. 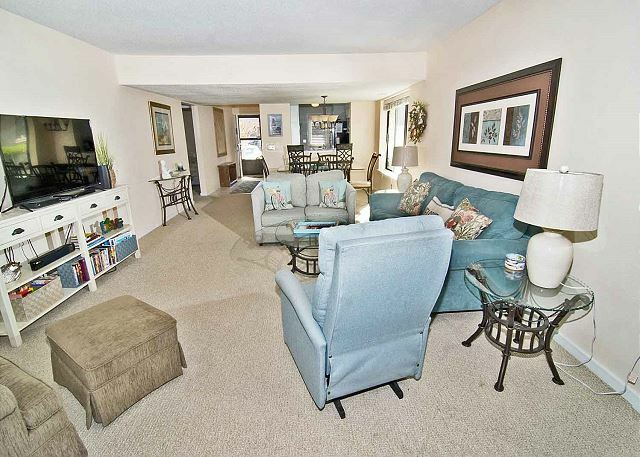 The living room has a sleeper sofa, love seat, a recliner, and club chair. 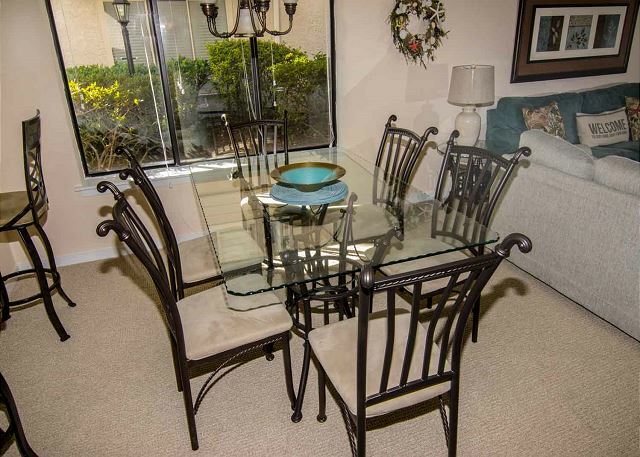 The dining table has 6 chairs and two extra bar stools. 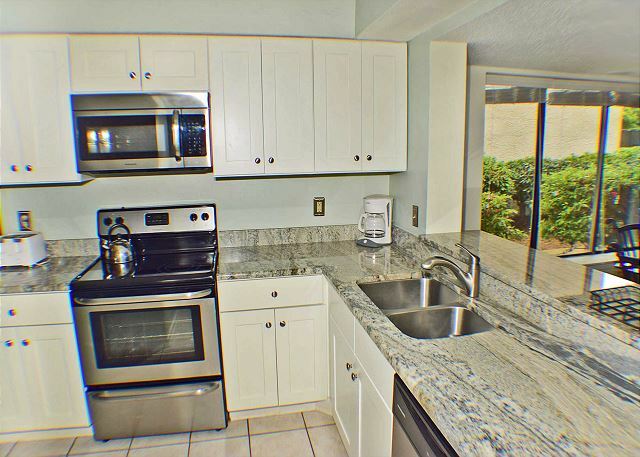 Fully Stocked Kitchen to prepare any meal. 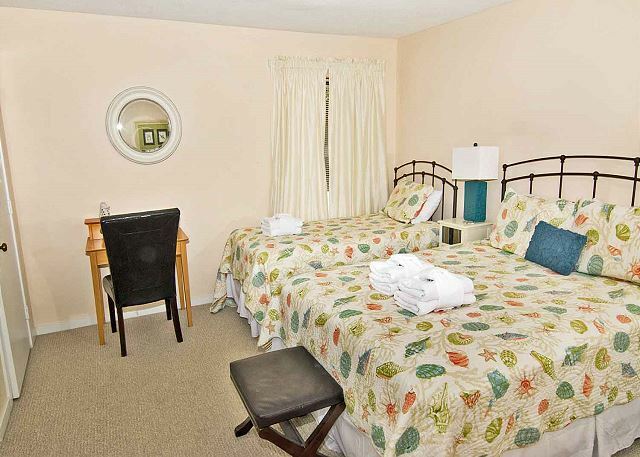 Wireless Internet (Guest Bedroom has a small desk to work at), Key Less Entry, and 3 Flat Screen TV's!! 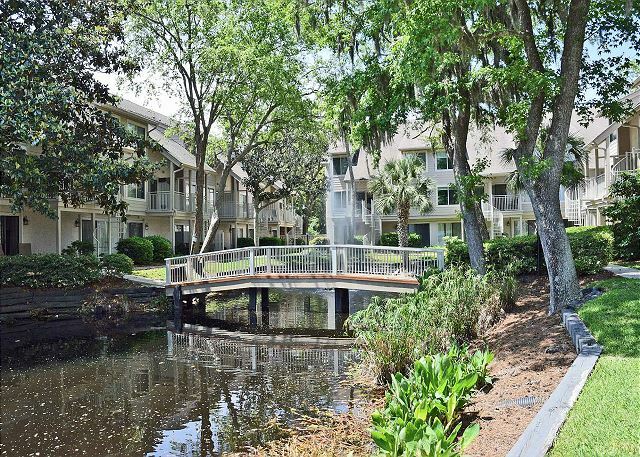 An amazing, updated, beautiful apartment! Truly feels like a home away from home. Could easily sleep more than 4. Beautiful & quiet complex. 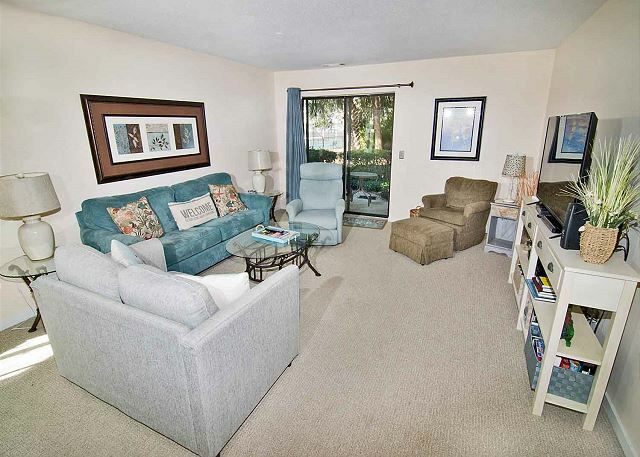 Walking distance to the beach. Overall the perfect spot! Unit was very clean and well stocked. The only problem we had was a smoke smell that was always very evident when we came in the door. It is a very good location. 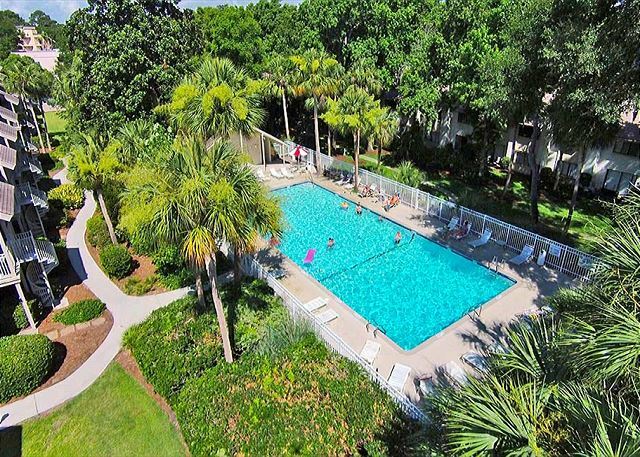 We planned a last minute family get away and Hilton Head was the perfect place. 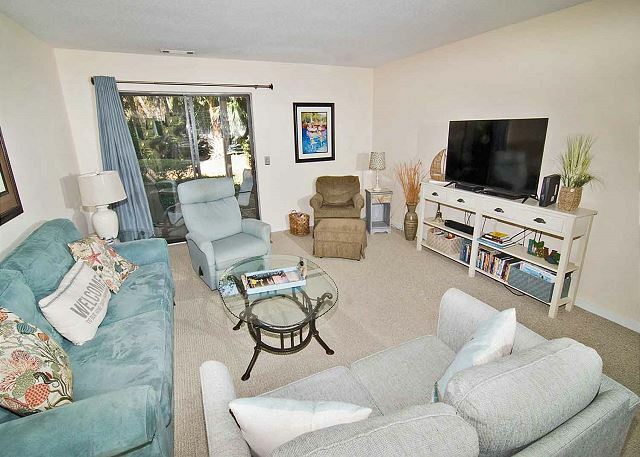 The Courtside 34 offered the space we needed, was close enough to the beach while being very affordable. We really enjoyed our week at Courtside on South Forest Beach! 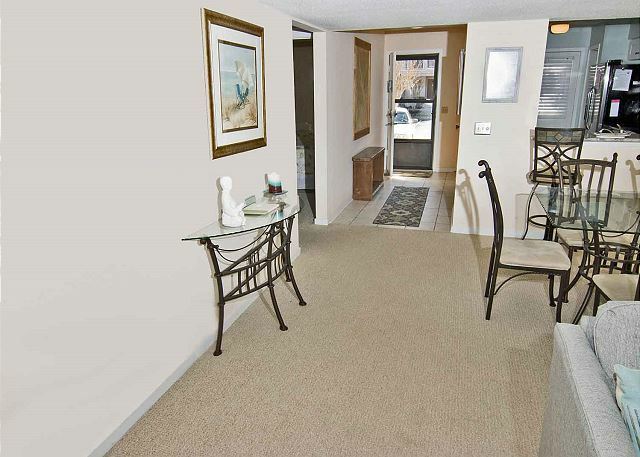 The condo was well appointed and nicely decorated. 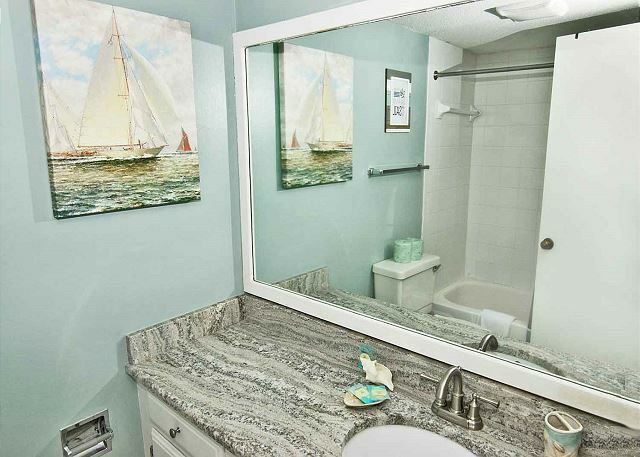 You could tell that the owner makes a great effort to ensure that their property is both comfortable and pleasing to renters. It is located a short 5 min walk to the beach which was gray to be able to just pop back to the condo to get something we forgot of to get more drinks on hotter days. The pools were nice and refreshing after a hot day at the beach. 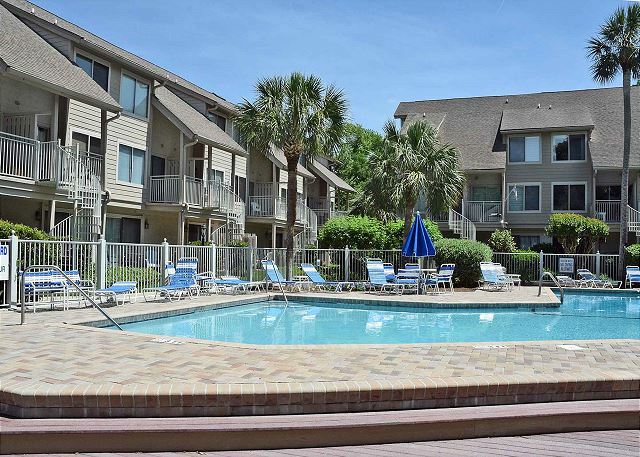 The property management company was awesome to work with and you can tell they really care about renters! We will definitely be returning to Courtside for our next beach vacation! We have been vacationing in HH for many years. Second time in Courtside, first time in #34. 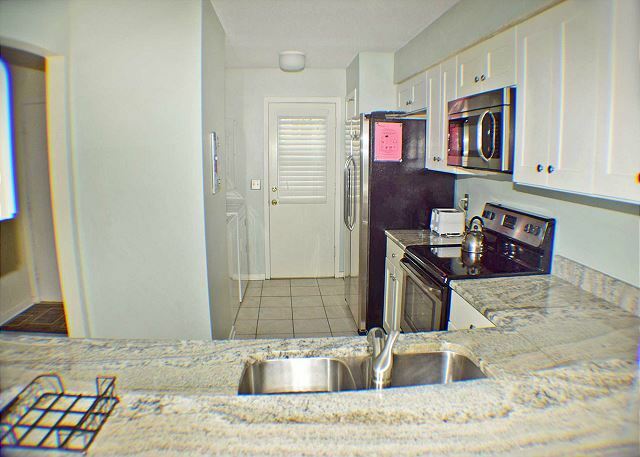 Condo was available to check in a few hours early and was very clean. We were happy that there were extra beach toys, chairs and wagon in the closet. Th only thing we had to get while out at the store was ice as the ice maker was not on or working. Pool was right out back, nice and never too crowded. Beach was a short walk. I would recommend and stay here again. A prophetic message about "Balance" was framed on our Courtside 34 homey abode and I can attest to the fact that we managed to pace ourselves and do so much from our comfortable abode - Courtside 34. As a certified tennis instructor and an avid tennis player, I even managed to hit a few serves at the Vandermeer tennis courts in our backyard and bumping into Pat Vandermeer was an unexpected pleasure. Already, thinking of a return trip to our homebase-Courtside 34. 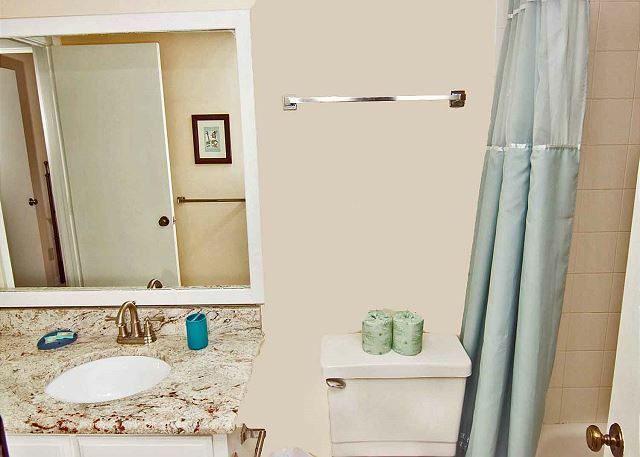 This ground-floor 2 bedroom condo is spacious and comfortable. My husband and I never felt closed in, as we have sometimes felt elsewhere. 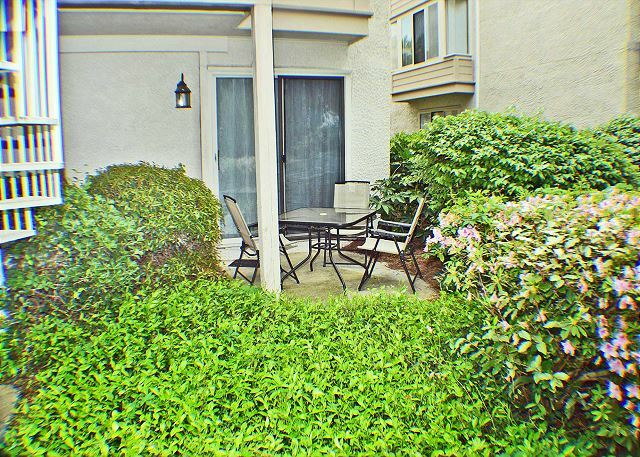 This unit is very close to the tennis court and just a few steps away from the swimming pool. The king-size bed in master BR was very comfortable. 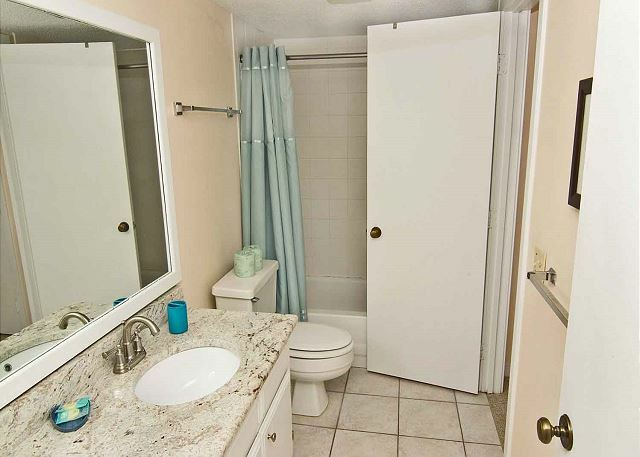 The condo was very clean, but there was a distinct tobacco odor in the unit when we arrived, which was disappointing. We remedied this problem with some lavender-scented Renuzit room spray. 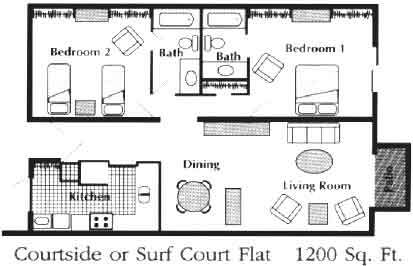 Due to its location on the ground floor level, we will likely request this unit again. We had a great time at Courtside 34!We had 4 adults and 3 kids (ages 2-14) and had plenty of room to accommodate all of us happily! The only complaint was the showers need to be maintenanced. Other than that I would definitely stay again! We loved HHI! We brought our 2 small children, 8 and 11 and it had all the major accommodations we needed. We would've liked to have had access to a grill or been able to bring one, however, it was prohibited. There were a few maintenance problems but they were addressed immediately. 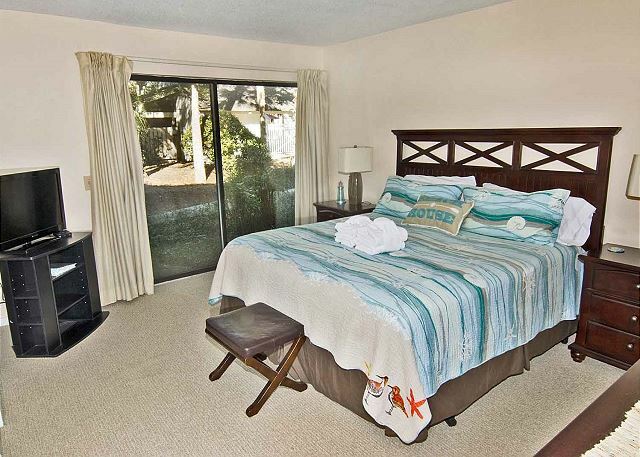 It was quiet, clean and close to the ocean and pool. Was just what we needed for the week. 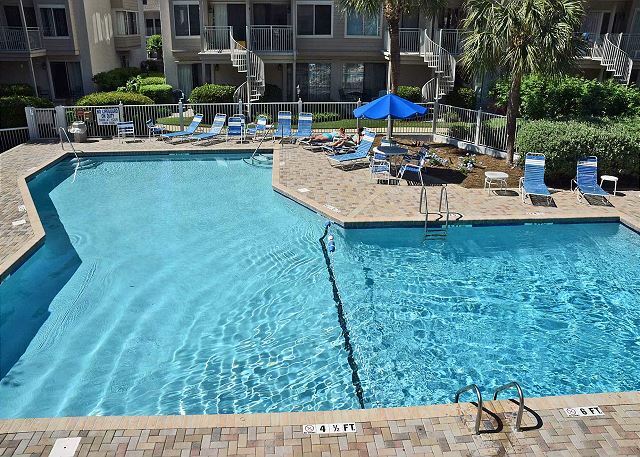 This was our 4th time to Hilton Head but our first time using Seashore Vacations. We LOVED our unit! It was the NICEST one by far! The owners did an exceptional job making the place a home with so many extra things like movies, games, books, alot of kitchen utensils that most places don't give. They even had a keyless entry so we didn't even have to go to the office on Friday morning and drop keys off! Report from my guys that they loved the unit. Our weekend stay at Courtside 34 was very relaxing. 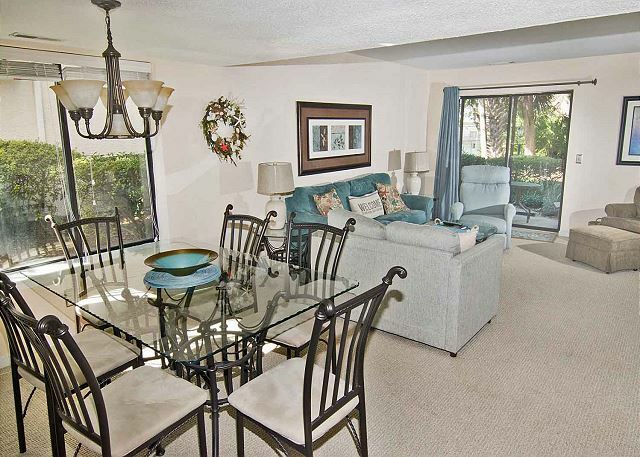 The condo was very clean, close to the pool, and just a short easy walk to the beach. The check in/out procedure was simple and accommodating. I would recommend this unit to anyone but especially to those who do not want to carry luggage up a flight of stairs. 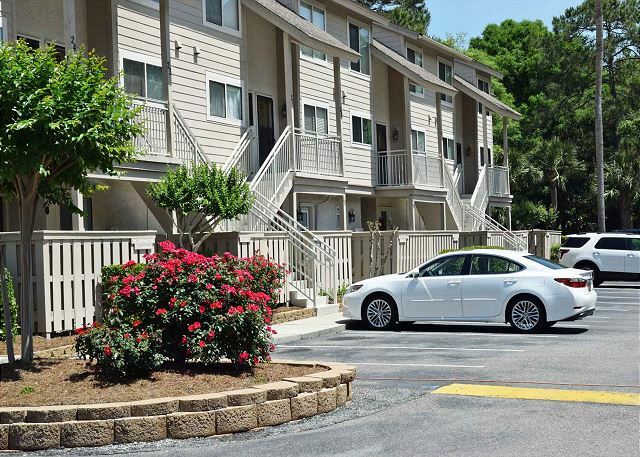 Also parking was provided directly in front of the unit. We really enjoyed the condo. 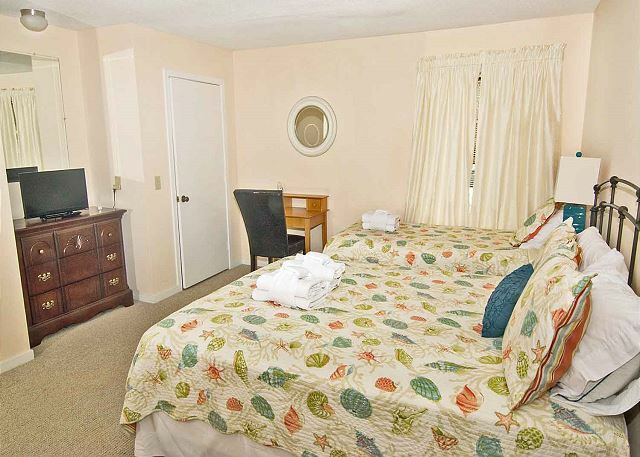 It is very well furnished and quite comfortable. The full size washer and dryer was nice too. The kitchen is very well supplied with the essentials. Great experience. We had a great time at this rental. It was clean and spacious! The apartment was clean, had everything we needed. The location was perfect, we walked to the beach and shops. We will be back and would love to stay at Courtside 34!